The Brewers Association (BA) - the trade association representing small and independent American craft brewers - yesterday released annual growth figures for the U.S. craft brewing industry. What distinguishes a good bar from a great one? CraftBeer.com, the Brewers Association’s website for beer lovers, released its annual list of Great American Beer Bars, celebrating establishments across all 50 states, D.C. and Puerto Rico, that readers voted as outstanding for imbibing independent beer. The Brewers Association (BA) - the not-for-profit trade association dedicated to small and independent American brewers—announced its 2019 board of directors, adding three new representatives to the 19-person board. Flying Dog Brewery is partnering with Green Leaf Medical Cannabis on a plan to release Maryland’s first THC-infused beer in 2019. Sierra Nevada acquires Sufferfest Beer Co.
Sierra Nevada Brewing Co. (Chico, CA) announced to acquire 100 percent of Sufferfest Beer Company of San Francisco. The breweries spoke of shared values, commitment to innovation and common goals as basis of the partnership. U.S. farmers are criticizing Anheuser-Busch, AB InBev’s U.S. American arm, for one of its commercials for Bud Light aired during yesterday’s Super Bowl. The brewer declares in a 60-second spot called "Special Delivery" that ran in the first quarter of the most-watched TV show of the year that its products were "brewed with no corn syrup." Dogfish Head announces the partnering with Brouwerij RODENBACH of Belgium for a one-of-a-kind collaboration - the first in 200-year history of Rodenbach! Despite a decline in volume by 2.0 percent to 200.2 million barrels (238.7m hl), consumer spending on beer in the United States in 2018 increased by +5.0% and totaled US$117.3 billion. The American heavy metal band Metallica has anounced its own beer, created in collaboration with Arrogant Consortia (an imprint owned by Stone Brewing Company). Which beers did you enjoy most? 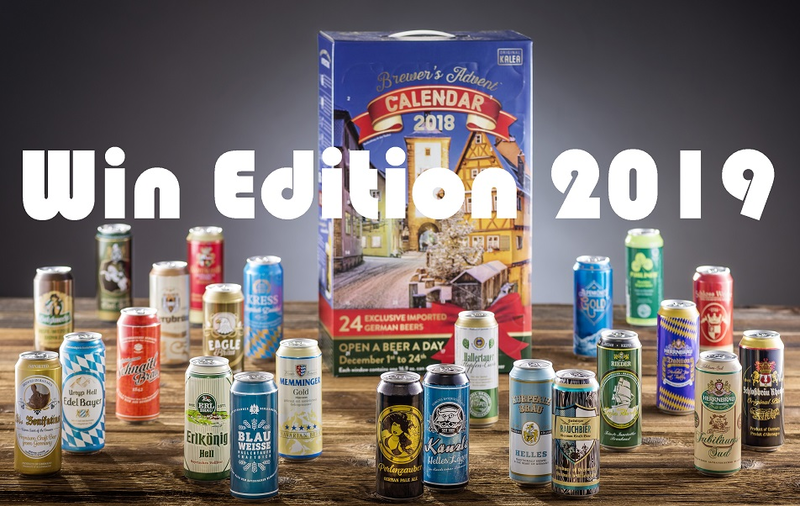 To improve the calendar every year, we have created a poll , where we would like to know which beers have been your favorites. You can select 1, 3 or 10 beers. Feel free and help us. We are interested, which beers will win! Oettinger Brauerei, one of the leading brewing groups in Germany with national beer sales of about 5 million hl and another 3 million hl of exported beers in 2018, has started the first-ever nationwide online sale of draft beer. The Brewers Association (BA - the not-for-profit trade association dedicated to small and independent American brewers — announced the recipients of its 2019 Research and Service Grants Program, designed to further the development of a healthy and sustainable raw materials supply chain. A new device makes the brewing process incredibly easy thanks to its single-use capsules, optimized fermentation algorithm and convenient self-cleaning feature. Many calendar owners are sad, that the calendar is empty now! What's about you? 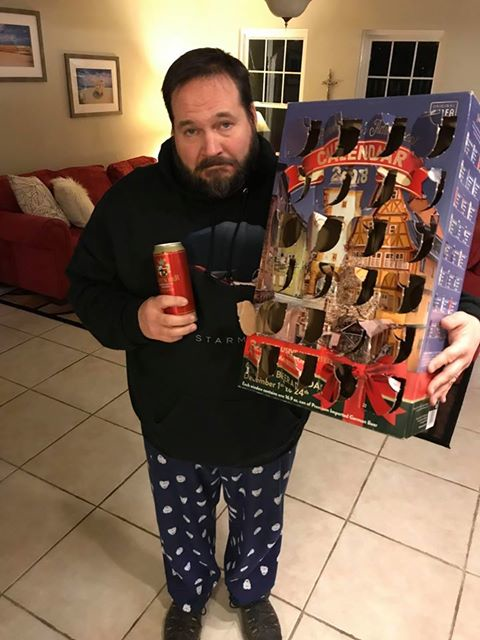 Did you enjoy every day your beer? The advent 2019 is coming! Take the chance and safe or win a calendar of the 2019 edition!